dance.net - Gavin dress made July 2016 - Â£1100 ono (10243653) - Read article: Ballet, Jazz, Modern, Hip Hop, Tap, Irish, Disco, Twirling, Cheer: Photos, Chat, Games, Jobs, Events! 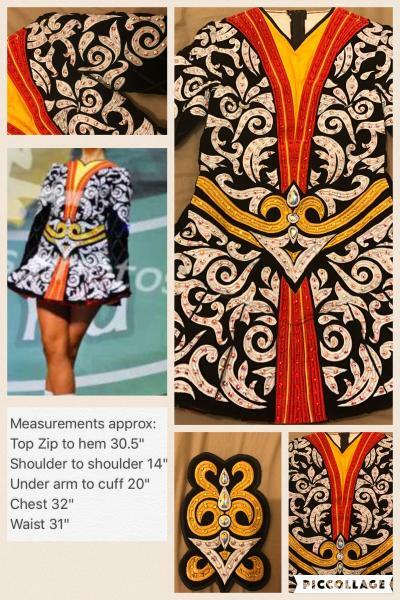 Stunning Eire Designs by Gavin Doherty Dress made for British Nationals 2016. Worn only 4 times due to injury. Top Zip to hem 30.5"
Under arm to cuff 20"